Vinyl flooring was once a popular choice amongst homeowners for their flooring and still is today. However, vinyl flooring has changed in recent decades as the implementation of asbestos has been reduced to almost none. While this makes future flooring endeavors safer, old vinyl flooring installed before 1980 may still contain asbestos. And, this makes it dangerous for you to remove them without professional assistance. 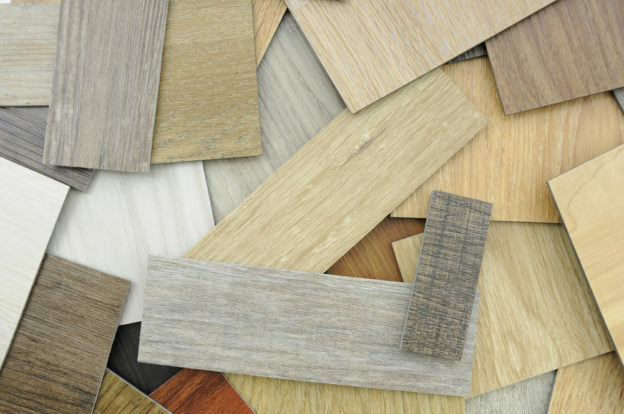 With unlimited options on colors and textures, vinyl flooring is and has been a great option for home and commercial flooring. Vinyl is a material produced by mixing ethylene and chlorine until it has turned into a plastic-like substance. Choosing vinyl flooring has always had its benefits. It’s cheap, easy to maintain, and even easy to install. But, through the years, we’ve come to discover that old vinyl flooring developed with asbestos can be a problem. Before we knew that breathing in airborne asbestos particles can lead to the development of mesothelioma lung cancer, it was a commonly used material in vinyl flooring production. Asbestos was thought to insulate and strengthen vinyl flooring to make it last longer and provide durability. Additionally, including asbestos into building materials was also believed to add further fireproofing to construction efforts. Plus, asbestos was a cheap addition for the benefits it seemed to offer. But, after a decade or so of building materials including asbestos, it was found that these chemicals are very harmful to the body when breathed in. And, since then, it has been suggested by professionals that homeowners should choose asbestos-free flooring products and utilize professional services when removing old vinyl flooring. After it’s installed, vinyl flooring made with asbestos doesn’t pose a threat to anyone. But, when old vinyl flooring made with asbestos is removed, breaking up the flooring could release toxic chemical particles into the air. And, when breathed in, these particles can lead to the development of cancerous tumors. Cutting, sanding, and tearing vinyl tiling and vinyl sheet flooring during demolition should never be performed by homeowners who are not aware of the dangers of asbestos and how to prevent against damage to health. Fortunately, there is a way to have old vinyl flooring demolished without risk to your health. The new day and age have allowed for new and useful technology. One of these technological advancements is the innovative dust-free floor removal system used by our expert team at Dustbusters Floor Removal. With this system, our professionals can safely and effectively remove old vinyl flooring while also removing harmful dust from the air before it can even become a problem. Most of our floor removal jobs are finished within the matter of a day. That means that you can get your renovation project completed faster! When you’re ready for a free quote for old vinyl floor removal services, give us a call at 866-883-8783 or visit us on our website.